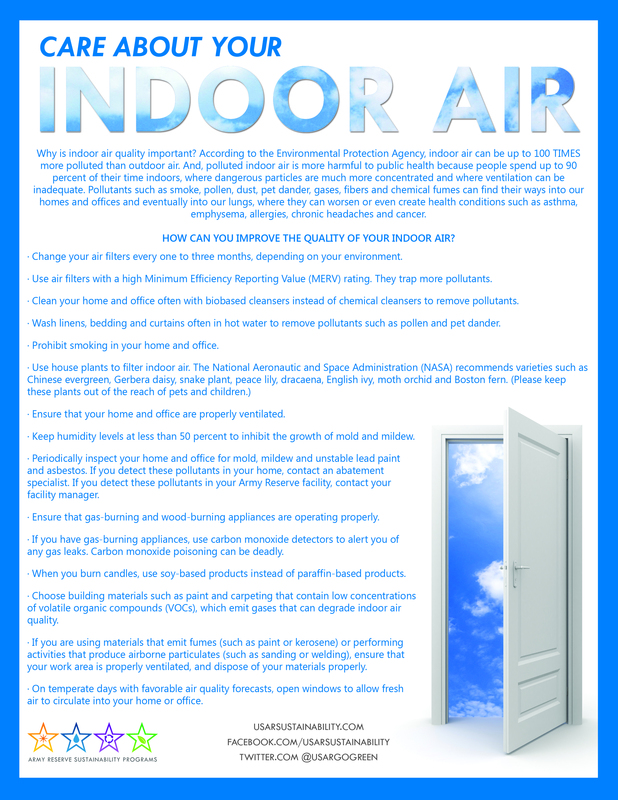 Why is indoor air quality important? According to the Environmental Protection Agency, indoor air can be up to 100 TIMES more polluted than outdoor air. And, polluted indoor air is more harmful to public health because people spend up to 90 percent of their time indoors, where dangerous particles are much more concentrated and where ventilation can be inadequate. Pollutants such as smoke, pollen, dust, pet dander, gases, fibers and chemical fumes can find their ways into our homes and offices and eventually into our lungs, where they can worsen or even create health conditions such as asthma, emphysema, allergies, chronic headaches and cancer. 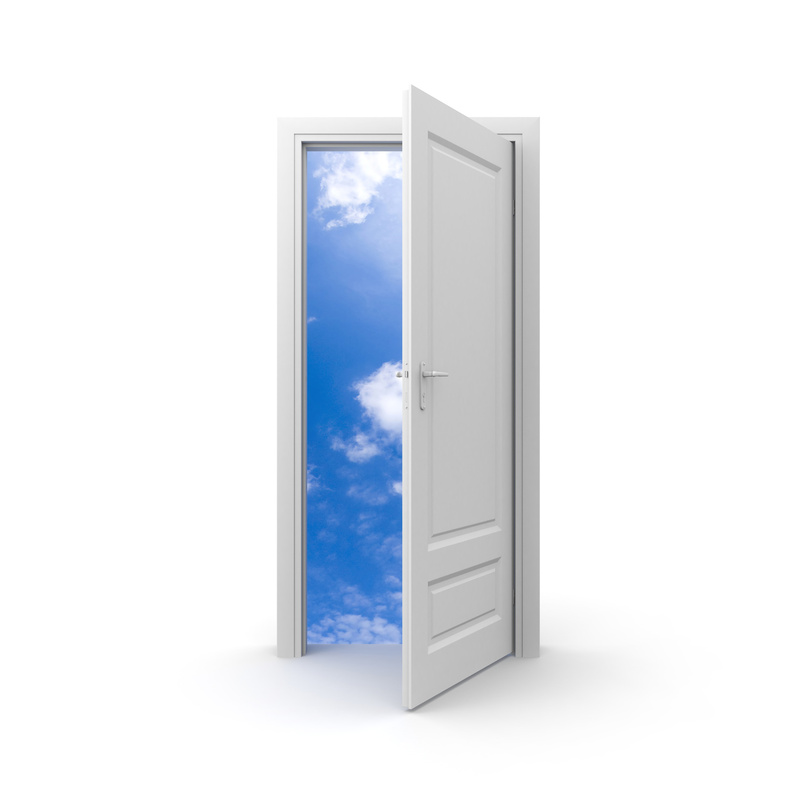 HOW CAN YOU IMPROVE THE QUALITY OF YOUR INDOOR AIR? · Change your air filters every one to three months, depending on your environment. · Use air filters with a high Minimum Efficiency Reporting Value (MERV) rating. They trap more pollutants. · Clean your home and office often with biobased cleansers instead of chemical cleansers to remove pollutants. · Wash linens, bedding and curtains often in hot water to remove pollutants such as pollen and pet dander. · Prohibit smoking in your home and office. · Ensure that your home and office are properly ventilated. · Keep humidity levels at less than 50 percent to inhibit the growth of mold and mildew. · Periodically inspect your home and office for mold, mildew and unstable lead paint and asbestos. If you detect these pollutants in your home, contact an abatement specialist. If you detect these pollutants in your Army Reserve facility, contact your facility manager. · Ensure that gas-burning and wood-burning appliances are operating properly. · If you have gas-burning appliances, use carbon monoxide detectors to alert you of any gas leaks. Carbon monoxide poisoning can be deadly. · When you burn candles, use soy-based products instead of paraffin-based products. · Choose building materials such as paint and carpeting that contain low concentrations of volatile organic compounds (VOCs), which emit gases that can degrade indoor air quality. · If you are using materials that emit fumes (such as paint or kerosene) or performing activities that produce airborne particulates (such as sanding or welding), ensure that your work area is properly ventilated, and dispose of your materials properly. · On temperate days with favorable air quality forecasts, open windows to allow fresh air to circulate into your home or office.